With exactly one month until the start of the semester, the Life Science Institutes have shown no signs of a summer lull. A number of our faculty have been seen in the news (listed below), with exciting developments in their research, new grants, or commercialization. Additionally, give our strength in imaging, please take a look at the upcoming NIH workshop (Aug 23-24) on AI in Medical Imaging. Registration for the workshop is open. Thanks to all the groups who submitted proposals to PIDD’s programmatic area RFA. We received over 20 applications and the Institute is working with both internal and external reviewers to identify the most meritorious projects. Dear PI4D members and friends, we are excited to let you know that we have finally made the move to the Hall for Discovery and Learning Research. The official headquarters of PI4D is now located on the fourth floor in DLR 425 (207 S. Martin Jischke Drive, West Lafayette, Indiana 47907-1971). We are also delighted to welcome the eventual arrival of Rob Stahelin (MCMP), Doug LaCount (MCMP), Mohamed Seleem (CPB) and Graham Cooks (Chem), along with their research groups. I am also excited to welcome Rainer Fischer from the Indiana Bioscience Research Institute to locate his Purdue operations in the DLR. Rainer was recently appointed as the Purdue University President’s Fellow in the Life Sciences and we are thrilled to work with him in joint initiatives. I can’t wait to see our labs filled with investigators excited to push the limits and make great discoveries through their pursuit of bringing translatable biomedical solutions for diseases that plague humanity. In recognition of his contributions to the field of Parasitology, Dr. Dennis Minchella was the latest recipient of the Distinguished Service Award given by the American Society of Parasitologists. Dr. Minchella marks the eleventh recipient of the award in society history, joining the company of an author of the textbook ‘Foundations of Parasitology’ and a Nobel Prize winner the discovery of the anthelminthic drug ivermectin, among others. Congratulations to Dr. Minchella for this well-deserved award! SIERRA Club Team – Zane Baird (IBRI); Christina Ferreira (Purdue); Michael Pugia (IBRI); Zehui Cao (IBRI) and Gerald Denys (IU). Precision diagnostics for difficult to treat urinary tract infections through the development of a mass spectrometry-based technique to identify molecular signatures of antibiotic resistant bacteria. IU CPR Team – Jack Schneider (IUSM); Christopher Emery (IUSM); Luna Lu (Purdue); Aline Elquist (Purdue); Thomas Davis (IUPUI); Michelle Zimmerman (IUPUI). Developing a rapid antimicrobial susceptibility testing device based on piezoelectric sensors for clinical laboratory pathology applications. 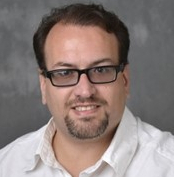 Supersoakers Team – Robert Bacallao (IUSM); AMI Labs (Purdue); Center for Algorithms and Machine Learning (IU-Bloomington) Diagnosing and treating acute kidney injury through the development of controlled infusion technology to restore renal function. Winning Team –Jackeline Franco (Purdue); Valentina Pirro (Purdue); Pamela Thomas (Notre Dame); Harm HogenEsch (Purdue); Paulo Gomes (Purdue). Design and development of a specialized sampling kit for molecular diagnosis of atopic dermatitis for veterinary and human clinical applications. Sponsors of the event were: Purdue Institute of Inflammation, Immunology and Infectious Disease; Chemistry, College of Science, Purdue University; Clinical and Translational Sciences Institute; College of Engineering, Purdue University; College of Pharmacy, Purdue University; College of Veterinary Medicine, Purdue University; Indiana Biosciences Research Institute; Indiana University – Bloomington; School of Medicine, Indiana University; and University of Notre Dame. Thank you to, Dr. DiMarchi, all who attended, the teams that were formed and those who sponsored the event. The group consensus was there should be several mixers and another competition. Special thanks to Melanie Lindsay, Becky Fulk, and Cindy Roberts for all their hard work in organizing this event. Greetings to the PIIN community! Dr. Pedro Irazoqui (BME, ECE) has stepped down from PIIN’s leadership team to assume the role of interim head for the School of Electrical and Computer Engineering. Pedro has been instrumental in guiding us since PIIN’s inauguration in the Fall of 2015 and we are deeply grateful for his service to the Purdue neuroscience community. His passion and expertise have ensured that PIIN lives up to its motto of being a place “where science meets engineering”. PIIN’s administrative staff have been busy preparing the space within the newly renovated 3rd floor of DLR in Discovery Park for occupation in the late summer and fall. We will soon be welcoming the lab of Dr. Aaron Bowman who joins Purdue as the new head of the School of Health Sciences. His research on neurotoxicology and neurodegeneration uses animal models and human induced pluripotent stem cells. The expertise and proximity of Dr. Bowman to the new Neuroscience Cell Engineering Core will enhance its utility. To create an interdisciplinary working group with overlapping research interests, DLR will also house the labs of Dr. Chris Rochet (MCMP), Dr. Jason Cannon (Health Sciences) and Dr. Yang Yang (MCMP). Additional research space is being reserved for new faculty hires. We wish to officially welcome Dr. Sebastien Helie to PIIN's leadership team. Dr. Helie is an Associate Professor of Psychological Sciences and an Associate Professor of Speech, Language, and Hearing Sciences (by courtesy) at Purdue University. He serves as the Associate Director of the Purdue Life Science MRI Facility, and as Co-director of the Center for Research on Brain, Behavior, and NeuroRehabilition (CEREBBRAL). His research interests include computational cognitive neuroscience, cognitive neuroscience, categorization, automaticity, rule learning, sequence learning, skill acquisition, intuition in decision-making, and creative problem solving. He is a senior member of the International Neural Networks Society (INNS) and was awarded the 2012 INNS Young Investigator Award. Dr. Helie serves on the editorial boards of Neural Networks, Frontiers in Human Neuroscience, Cognitive Systems Research, and The Quantitative Methods in Psychology. His research is currently funded by the National Science Foundation and the National Institutes of Health. Travel Grant Winners: The winners of this cycle of PIIN-sponsored travel grants represent 5 different colleges at Purdue, and thus showcase the breadth of our membership. We are particularly pleased to support those selected for oral presentations at major conferences, and those who are presenting at the Society for Neuroscience Annual Meeting. Congratulations! June 6 - August 1:Neuronetworking Seminar Series meets on Wednesdays at 4:00-5:30pm (except July 4th). REGISTRATION IS REQUIRED. Please join us for the talks, followed by a light dinner and conversation with fellow PIIN members. We have released our Internal Funding Pilot Grants Calendar for the upcoming school year. It can be found on our websites internal funding opportunities page, via the “Master Pilot Grants Calendar FY18-19” link. Please join us Thursday, August 23rd from 11:30 am – 1:30 pm for the “Hammer Down Cancer Luncheon”, taking place at McGraw’s Steak Chop & Fish House. Tickets are available for purchase here. We are pleased to announce that Regenstrief Center research scientist and PI Md. Muniril-Haque received NIH funding for mobile-based care for children with Autism Spectrum Disorder (ASD). The technology, called mCARE, is an evidence-based and data-driven remote behavioral monitoring platform for the care practitioners of children with ASD. mCARE will be tested with caregivers of 300 children with ASD in Bangladesh for one year. The children will be selected from four reputed ASD care institutions in Bangladesh. Venture capitalist Milad Alucozai, founding partner at Good AI Capital, will hold the position of visiting scholar at the Regenstrief Center for the 2018-2019 academic year. Good AI Capital is a San Francisco-based venture fund that focuses on early stage investments in AI companies. Milad, a Purdue alum, will help grow capabilities for the Center in AI and data science in healthcare. His appointment will also help to develop and enhance the Center’s entrepreneurial ecosystem. Finally, a special thanks to Jenna Moretti for updating the RCHE website.